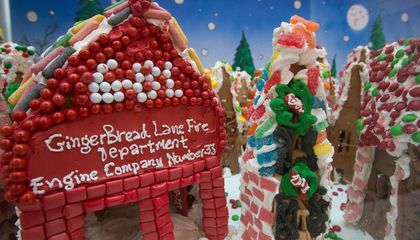 The 39-year-old chef has been building gingerbread houses since he was a teenager, but Lovitch is no run-of-the-mill gingerbread aficionado. 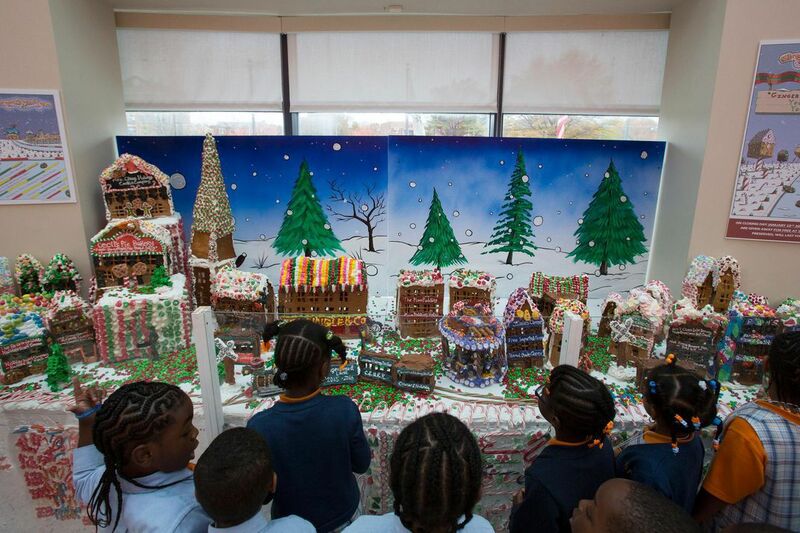 GingerBread Lane, which is on display through January 21 at the New York Hall of Science in Queens, New York, has broken Guinness World Records for world’s largest gingerbread village. For the last five years, he’s won the title annually, beating out villages in Norway and other countries. He is going for a sixth straight title this year. When Lovitch isn’t hunched over his oven in his cramped Bronx apartment, he serves as executive chef at the historic Algonquin Hotel in Times Square in New York City. Because of space restraints in his home kitchen, he can only work in batches on nights and weekends. He makes about three pounds of icing at a time and stores his creations in a spare bedroom and as a result, his entire home smells like a Christmas bakery year-round. Lovitch’s schedule increases in intensity once July rolls around because he does the bulk of the baking during the summer. It isn’t until fall that he begins work on each structure’s details, from the intricate candy-coated rooftop of the S.C. Kringle & Co. Department Shoppe to the lifelike stonework on the exterior of a row of gingerbread brownstones. Lovitch even uses specially ordered coffee-flavored gum from Japan to simulate brown bricks. GingerBread Lane’s appeal is widespread, but it can’t last forever. After several weeks delighting kids of all ages, Lovitch must dismantle GingerBread Lane on January 21, but rather than throw his creations in the trash, he invites visitors to come to the New York Hall of Science and take home buildings for free on a first-come, first-served basis.